Love the idea of delivering it at a MAGA rally. None of those icky Democrats to throw cold water on his adulation. He can tweet it. No one ever has. 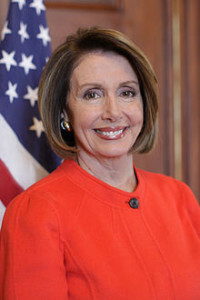 Beautiful play by Pelosi. Hit him where it really hurts him. Deny him access to the stage. What stands out about this shutdown is how little Republicans are offering Democrats in exchange for their wall funding. No offers to vote on the Dreamers or Climate Change mitigation. Nothing. "Give us our money for our monstrosity and you get nothing." If that is the Art of the Deal then we've come a long ways from cooperation and collaboration. I know you are, but what am I?! ?